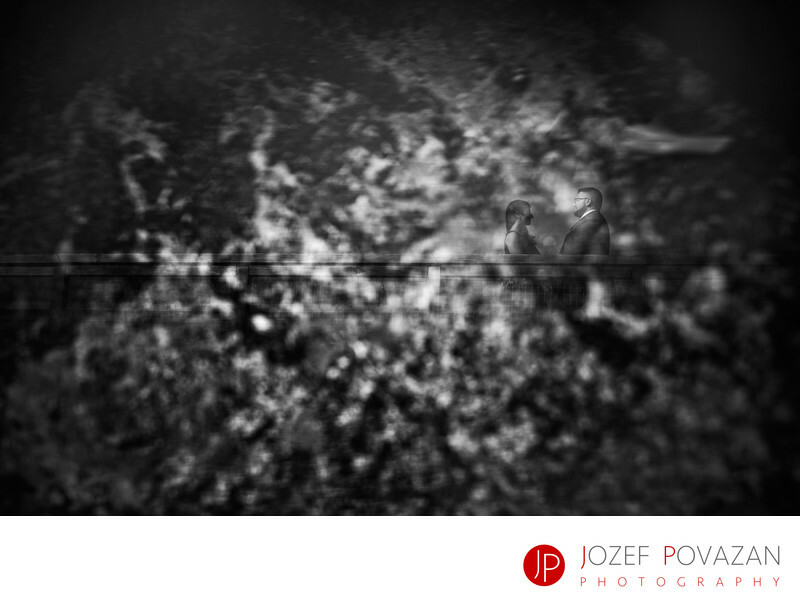 Art engagement picture single image in camera trick - Best Vancouver wedding photographer Jozef Povazan Photography studio. Art engagement picture single image in camera trick created at Sea to Sky Gondola viewing platform by Jozef Povazan Photography. Black and white is alive. Location: Sea to Sky Gondola, Squamish, BC, Canada.